Several of us were talking a few days ago about different ways to design hook activities that would engage kids while also encourage writing skills. 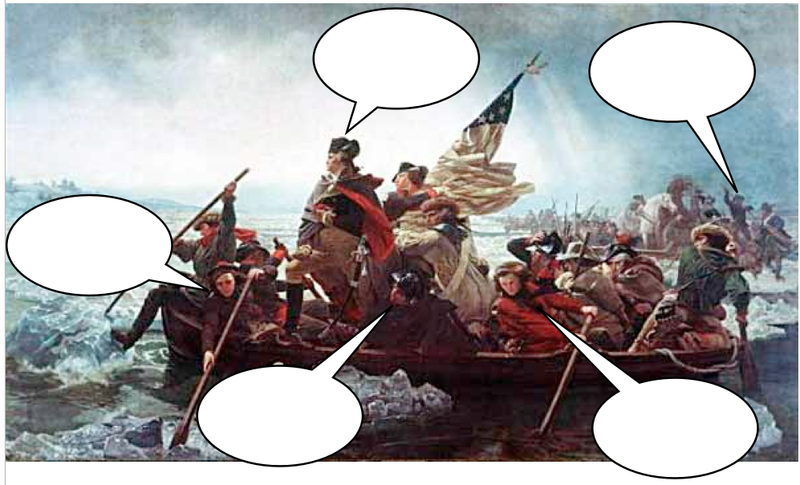 My favorite is to use thought bubbles on paintings or photos. Thought Bubbles ask kids to imagine what the people in the image are thinking. Start by finding a photo or painting depicting an event, idea or group of people that helps introduce your content. 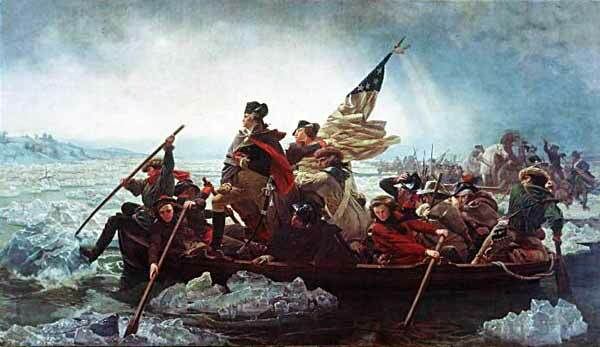 I used the famous Emmanuel Leutze painting of Washington crossing the Delaware as my starting point. Using photo editing software such as Inspiration or Comic Life, add thought bubbles to a variety of the people in the painting. You could also use online editing tools like Picnik. I actually use Keynote or PowerPoint and then simply take a screenshot of the finished image. Depending on your image, you could add bubbles to all of sorts of things including animals and objects. Project the edited image and ask students to “fill in the bubbles” on a piece of paper or wiki or blog or VoiceThread or Wordle – really just about anything that allows them to add content. Ask kids to share out their examples with a partner and to explain their writing. Lead a large group conversation about what kids wrote and why. You could also make paper copies of the image and hand them out to students if you don’t have access to a projector. You could even use an overhead projector to show the image. Then have students repeat the process by asking them to fill the bubbles in not as thoughts but as what the people were saying. ( I would give kids paper copies even if I have a projector. It just seems more fun!) After the process, ask kids to think about the difference between what people think and what people say. The final step could be to have students use the different thoughts and sayings suggested to write a brief story or account of the event depicted in the image. Be sure to ask them to write about the future as well as the present . . . predicting is a great way to engage students in content.